The Illuminating Experiences H1400 Linear Series Sconce accentuates interior decor with its sleek, modern profile, a strong splash of dramatic uplighting, and softly diffused downlighting. 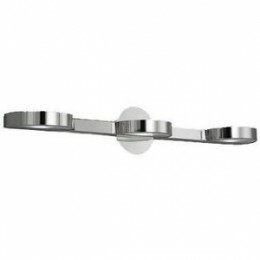 The H1400 Linear Series Sconce features an open top and bottom frosted glass diffuser. It can be mounted horizontally, only. Accentuates interior decor with its sleek, modern profile, and a strong splash of dramatic uplighting and softly diffused downlighting. Accommodates 4 100 Watt 120 Volt DC Bayonet Halogen lamps (not included). Can be mounted horizontally only. Note: Shown - 2 Light Sconce Option, H1418JC. 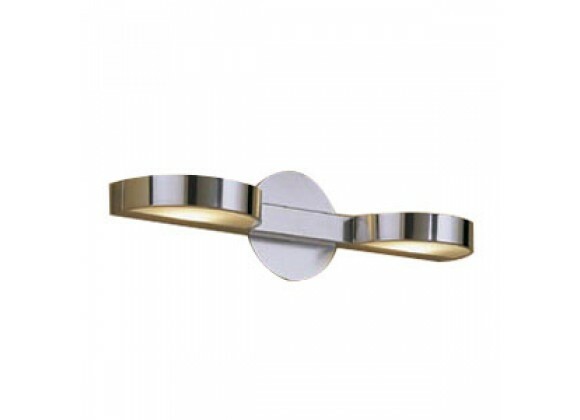 Linear Series Sconce 4-light sconce accentuates interior decor.